“Then climb to the 3rd floor of the UP Main Library and find me. I’ll give you all the records, documents, and photos I have during martial law. Where can you even find a police report that said the cause of death [of a person] is a probable ‘suicide,’ yet was shot 27 times (6 times in the head), and with the eyeballs sticking out?” Cruz added. Cruz said vice presidential candidate Ferdinand “Bongbong” Marcos Jr, son and namesake of the late dictator, is not innocent of the atrocities committed against victims of martial law during his father’s rule. According to Cruz, records show that Bongbong Marcos was 23 years old by then. In an interview, Cruz said she posted that status in response to other Facebook friends who are Marcos apologists. “Librarians are information specialists. Thus, the first things we check about any information are sources. I was angry that they keep spreading all those stuff about Marcos without credible sources,” she said. She found out that the information used by her friends to defend Marcos Jr and his father were from memes and Youtube videos that do not have factual basis. “Every day, I read these records involving my work, involving the atrocities of the martial law period, so I couldn’t just let this slide, and [so] posted this back,” she added. Cruz reminded netizens, especially the millennials, that they are a large channel in the flow of information on social media. “I want to promote information literacy, especially among the millennials – that before they post anything, they should try to check the sources. The resources are here [in the library], and their historical evidence won’t lie, being compiled carefully, every day, during and after the martial law,” Cruz added. Supporters of congresswoman Leni Robredo and Marcos have been arguing online since their vice presidential bets came neck and neck in the unofficial results, based on the transmissions to the Commission on Elections Transparency Server. 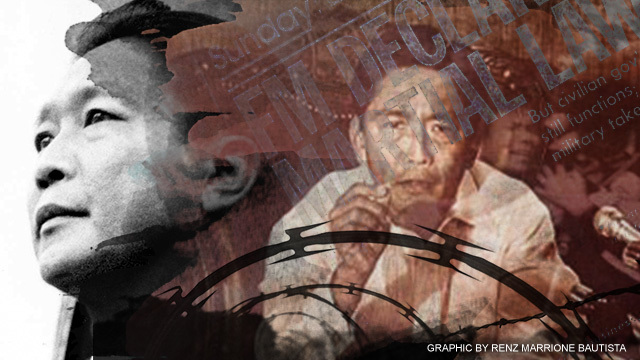 This is not the first time netizens tried to debunk the romanticism of the martial law period. 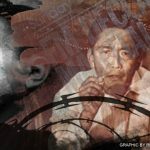 Before the elections, the Campaign Against the Return of the Marcoses to Malacañang or Carmma posted a video where martial law survivors tell young Filipinos their horrible experience during that period. The video campaign is aimed at encouraging people to sign the petition to rewrite the country’s history books and include the horrific stories experienced by martial law victims.